With the Prohibition in 1920, a lot of skilled bartenders had to leave United States to find work at various other luxury hotel bars across the globe. They carried along several recipes from American-inspired classic drinks like the Manhattan and the martini and spread it in the global cocktail culture. As Beefeater Gin Brand Ambassador Dan Warner says, “It’s about taking the time to spoil yourself”, take some time out and pamper yourself with hand-carved ice, top-shelf liquor, fresh ingredients and extraordinary attention to detail. 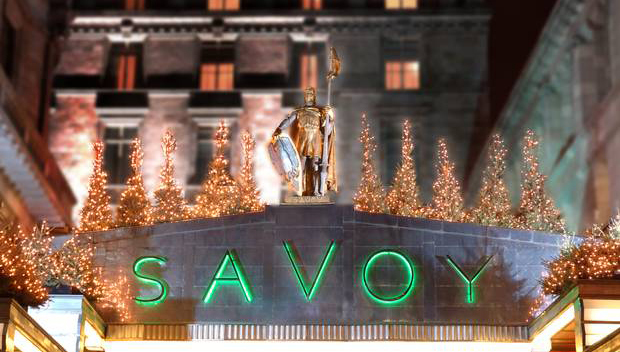 Savoy is the first luxury hotel of Britain built in 1889. It went through a several hundred million dollar renovation in 2010. Bar Manager Daniel Baernreuther now takes up the position held by legendary Prohibition-era bartenders Ada “Coley” Coleman and Harry Craddock. He is the author of the book, The Savoy Cocktail Book. He brings back the 1920s era in his bar. A live pianist is there to play the classic American Jazz all throughout the week. Try the White Lady: Dry gin, Cointreau, lemon juice and 1 egg white. 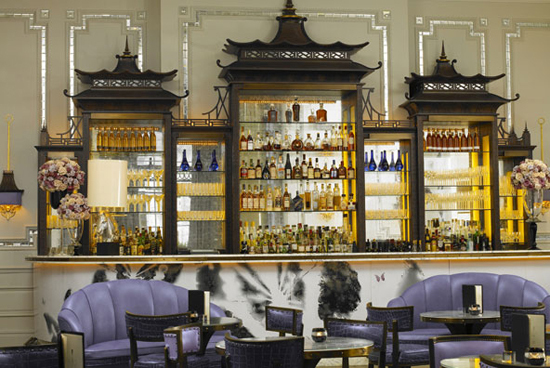 The Bar at the Dorchester Hotel underwent an extensive facelift only a few years from now. The world-renowned “alchemist” Giuliano Morandin introduced an innovative drinks program in the bar. Martinez, its signature cocktail was first listed by bartender O.H. Byron in 1884. People say that the drink inspired today’s martini and the Manhattan. Try the Martinez: The Dorchester Old Tom gin, Punt e Mes, maraschino and Boker’s bitters. 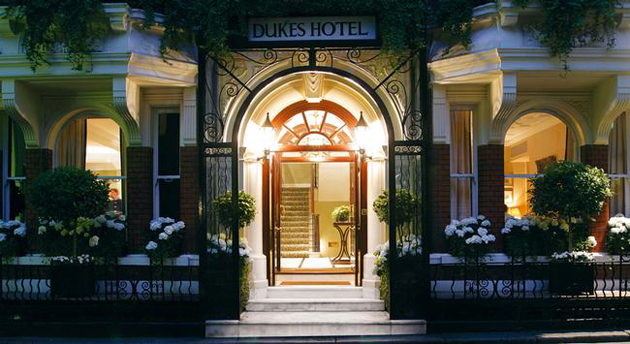 DUKES Bar inspired the classic Bond movie line, ‘shaken, not stirred’ by the James Bond author Ian Fleming. The bar is famous for its signature martinis and personalized cocktail creations. They are made tableside by the bartender. “The theater of making the drink … defines the attention to detail,” says Warner. Try Fleming’s Classic Vesper: No. 3 gin, Potocki vodka, Angostura bitters and Lillet blanc. The Artesian Bar is the first grand hotel of Europe opened in 1865. It is famous in the world for its exclusive rum selection and features regal-like gold and plum Asian-inspired Oriental decor. Garnishing the most appealing of all. Ice is machine-carved into pucks and balls with the Artesian logo. Try the Alexino: Ron Zacapa 23-year-old rum shaken with fresh whipping cream and red bean paste. 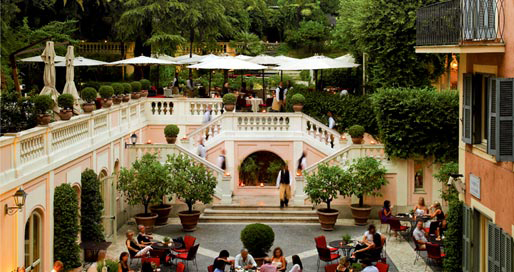 Stravinsky Bar at the Hotel de Russie situated in Rome is one of the glamorous celebrity hangouts. It is one of the first bars to introduce the cocktail culture to Rome in 1837. And ever since it has been famous for its sweet “aperitivo” concoctions. Try the Negroni: gin, Campari and sweet vermouth. 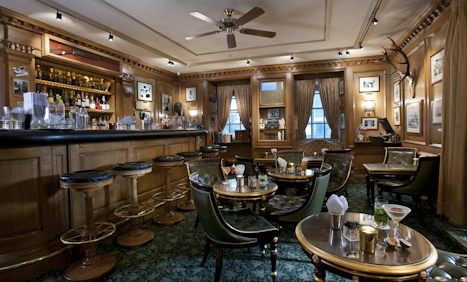 Bar Hemingway at the Ritz Hotel is where Ernest Hemingway’s favorite watering hole is restored to its original look, with wood paneling and leather arm chairs. The bar run by Colin P. Field stock Hemingway’s favorite single malt whiskeys. He has also invented several famous original cocktails since 1994. It is also the inceptor of the famous Sidecar cocktail. Mixing Ritz Reserve cognac from 1830 with it costs several hundred bucks. Try the Cider Ritz: apple juice and champagne. 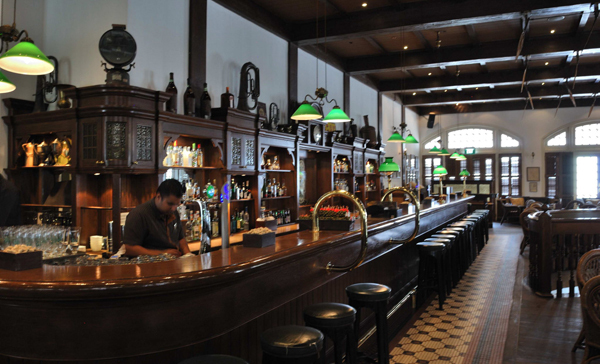 Long Bar at the Raffles Hotel in Singapore is abundant in various stellar drinks program featuring hundreds of alcoholic concoctions. The aura inside the bar is informal and cozy with a hint of the Malayan plantations done in the 1920s. Try the Singapore Sling: gin, cherry brandy, lemon juice and club soda.